Focal Spirit One S review | What Hi-Fi? Take a quick look through the Focal Spirit One S webpage and you’ll find a load of stuff about ‘digital nomadism’. Don’t worry, Focal isn’t raising an army of audiophile travellers – it’s an erroneously translated statement of intent from the French company about excellent sound on the go, which is mostly true. We tend to associate Focal with fancy speakers, but every now and then the company surprises us with a pair of headphones. We’ve not been disappointed so far, and this is no exception. So, nomadism: these Focals are certainly light enough to be lugged out and about. And despite the lightweight materials (which don’t feel particularly luxurious), these Focals are solidly made. These cans will take a good bashing. Their limited folding and swivelling skills mean they’re not as compact as we’d like, but at least you get a choice of cloth bag and chunky hard case for stowing them away. As for the sound, these are a lovely, easy listen. It’s a balanced sound, never leaning too hard on any particular part of the frequency range; punch and accuracy of timing are good enough to convey a strong sense of life. Not too much, however – it’s a smooth, laid-back listen. The presentation isn’t particularly spacious or open. It’s not all good, however. For the money, we’d like a bit more clarity and sparkle - particularly around the treble, which feels a little closed-in. The Focals are also lacking a bit of thrust. We like the smooth sound, but we can’t help feel the Spirit One S’s character is a little too laid-back. 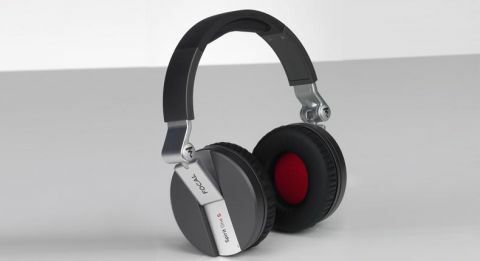 Focal has crafted another fine pair of headphones. Whether you keep them at home or use them out and about, it’s an easy, entertaining listen. Just don’t expect too much excitement.